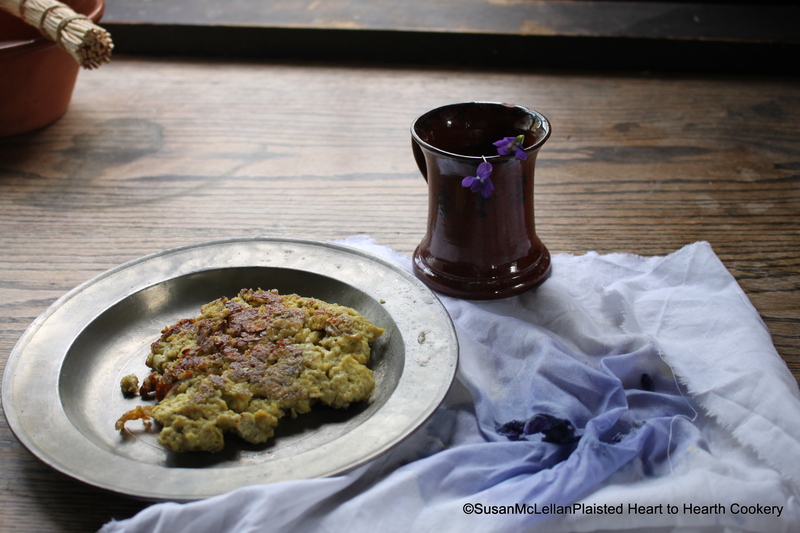 The receipt (recipe), A Tansie of Violets, is prepared with the juice from violets, cream, grated bread, eggs, cinnamon, nutmeg, sugar and a little rose-flower water. When it is fryed, dish it up. It would be served to table with juice of lemon and sugar scraped on.